In this Photoshop tutorial, designers used a space texture as a background and modified its coloring using layer styles and adjustment layers. 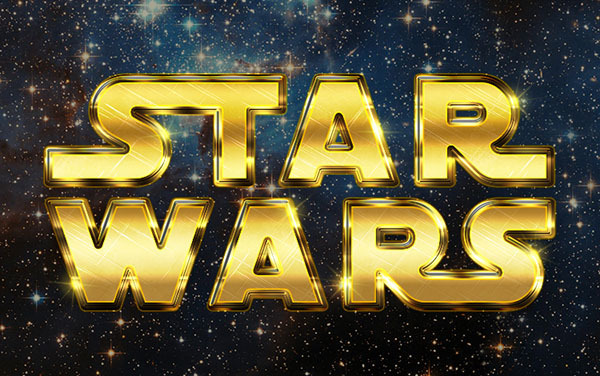 They created the Star Wars text, and modified the Tracking and Kerning values. Designers converted the text into a shape and styled the lettering to achieve the retro inspired effect. You will learn how to modify a flare brush tip and use it to add a few flares and sparkles to the text’s edges.